I have seen many people going gaga over Windows 7. Well, I just got hold of the RTM few days back and even I’m loving it now. But, one of my friend wasn’t comfortable with the all new Aero taskbar which according to me is awesome. If you’re like my friend then here’s something for you. It’s a Vista theme for Windows 7! 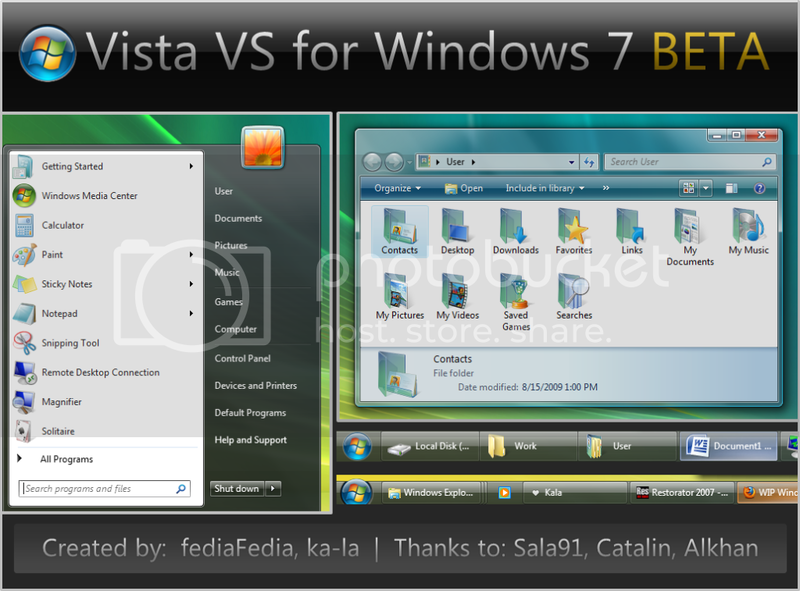 A user named- fediaFedia on deviantart has designed a Vista theme for Windows 7. Have a look at the above screenshot, the theme gives you the look and feel of Vista even when you’re on Windows 7.